When it came time to do a chore chart, it made sense to use Harry Potter as inspiration. One of the reasons we need a chore chart is order and expectations. I kept telling the kids to help out and they were angry at how vague that was- which is fair. They wanted solid guidelines- both of them begged me for a chore chart and allowance. Josh and I fully agreed that it was important for them to learn to manage expected jobs and money. Now- we DON’T give allowance based on chores. When they grow up, no one is going to pop in and pay them for doing the dishes or making their bed! I wish this happened- I would be rich. It just has to be habit and their own standards creating the need for action. 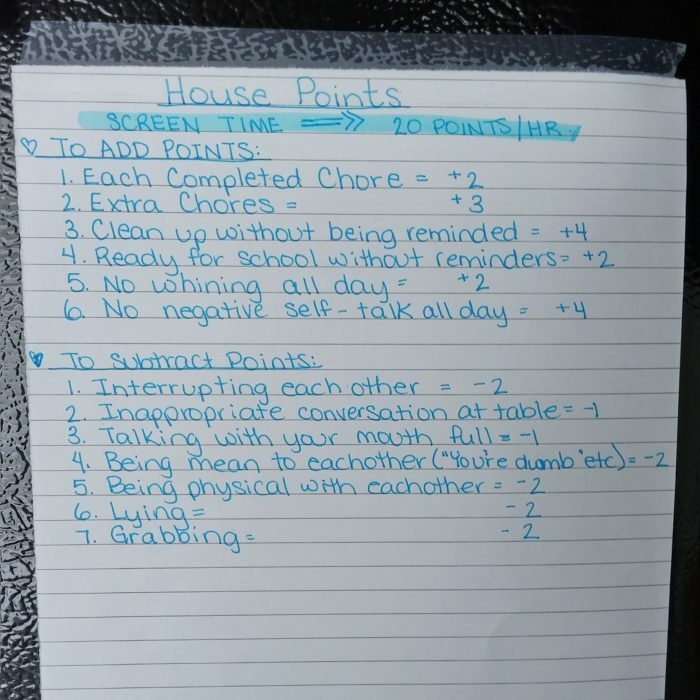 However, we do give points for completed chores. 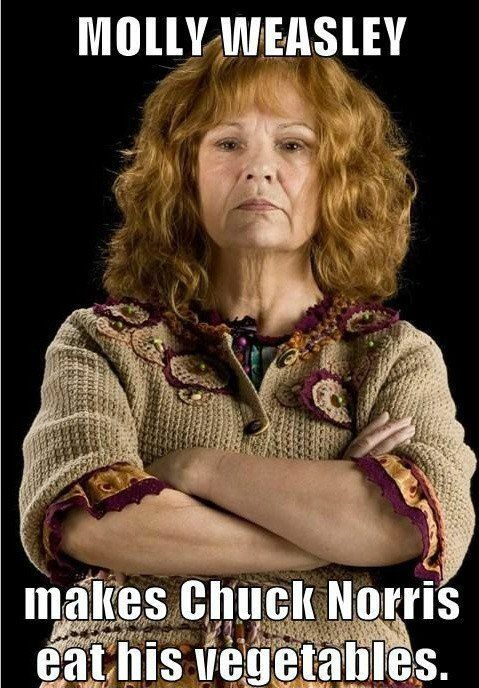 Yes, like house points awarded at Hogwart’s School of Witchcraft and Wizardy. These points are added up for the week and can be “spent” on the weekend for video game time. Every child is different: Our kids get keyed up and anxious after playing video games or watching a movie, so we don’t allow those during the week. Instead, they can save up house points and play or watch on the weekend, when sleep and focus don’t matter as much. Of course, school programs that use screen time don’t count as extra screen time. Their online math games and spelling practice are okay during the week and are termed homework. Allowance is based on good behaviour. Lying, cheating, hitting, etc will result in little or no allowance given that month. We have never had a problem. They get a TINY amount compared to other kids, but we do what our budget allows. Plus, I find that the longer they have to save for something, the more that they appreciate it. Most of the time, Hunter realizes, halfway through saving, that he didn’t want it in the first place. We have also told them that part of their allowance must go to saving and part must go to charity. Once they reach $100 in their charity fund, they pick a spot to donate it to. 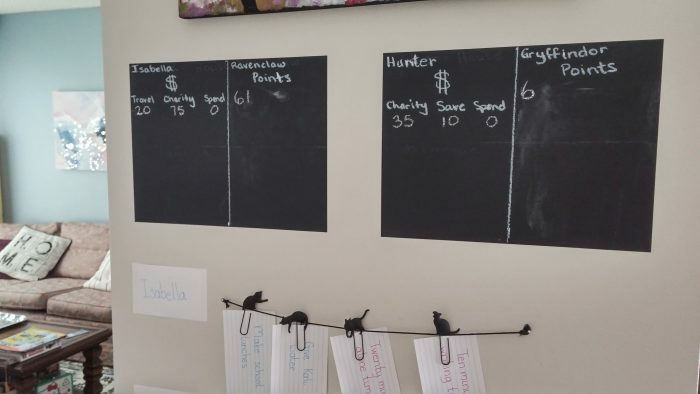 For saving, Isabella has started a future travel fund and Hunter is saving for school. Sometimes they resent having to split up their money but it’s a good learning experience. 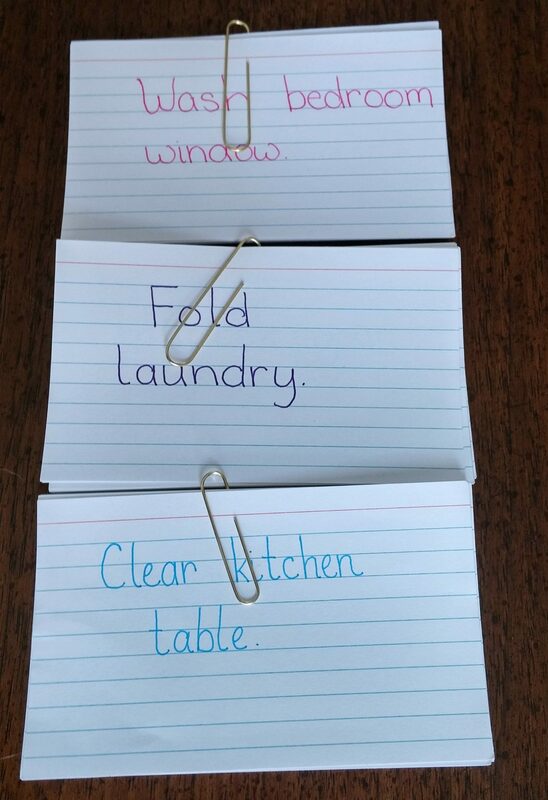 The chore chart system is a really simple one. I use a peel and stick chalkboard from Chapters like THIS ONE and it is the perfect size to put on the wall in the pass-through to the kitchen. I wanted something flat so it didn’t jut out and take away from walking space. (I’m clumsy and knew I would always be bumping into it if it stuck out). I applied those to the walls and then used a chalk pen to divide it into “points” and “$”. We took the Pottermore quiz and had ourselves sorted into houses. Each person got a different house(!!) but we all got a house that suits us. Isabella got Ravenclaw (which she was hoping for), Hunter got Gryffindor (I thought maybe Hufflepuff), Josh got Slytherin (but wanted and expected Gryffindor, which we had all guessed, but this suits him too cuz he is so clever and critical), and I got Hufflepuff (I was gunning for Ravenclaw but think this does suit me the best). What house are you in? I would love to hear about it in the comments. With the houses sorted, I used those as my basis for the charts. 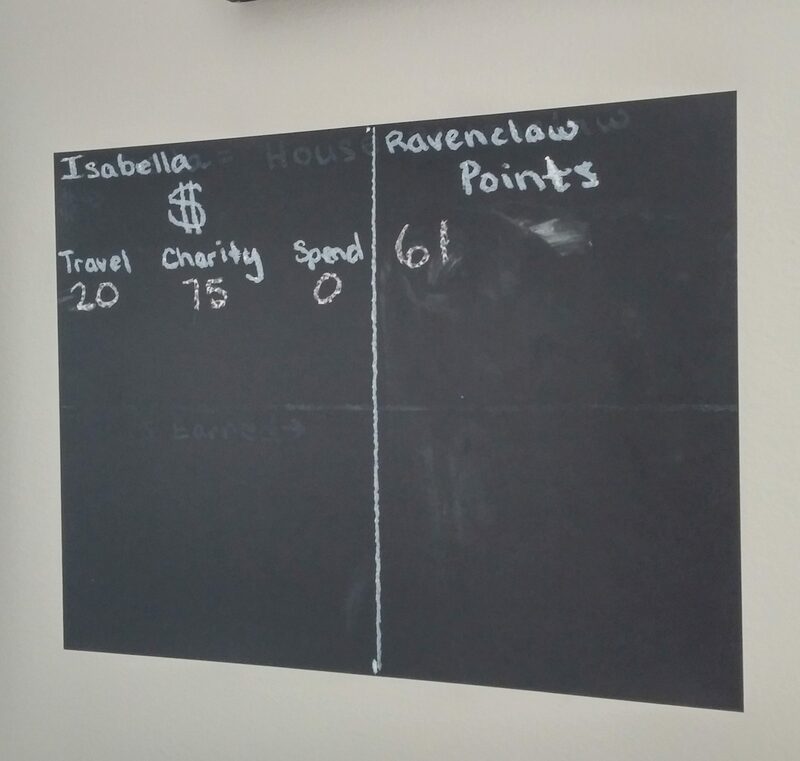 As the kids do things throughout the day, I get to shout out “two points awarded to Gryffindor” or “two points taken from both houses”, which is cool and fun for me. I’m a mom- simple things make my day way more fun, especially if they are nerdy. You can arrange it however you like, but I found this allows the most room for points. 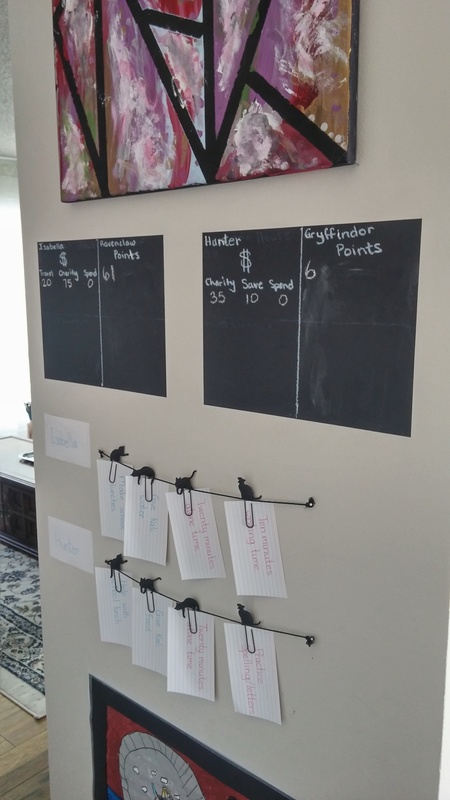 I add the money in the next line each month and make the kids do the addition themselves- same with the points. So I will have to add “Travel: 20+10”, and so on, and make Isabella or Hunter write the totals. (Sneaky math practice! A-ha!). When we run out of room, I will erase it and put the total at the top, like you see here, and we can keep adding to it. As you can see, Isabella is REALLY good at spending her money. She just bought a few writing supplies and is back at zero. If your kids are younger or older, you will probably have some other ones to add on to it or ones that don’t apply yet and you would delete from this list. Here is the FREE PRINTABLE of the House Points List, slightly modified. Now, the chores. My kids are 9 years old and 7 years old, so I tried to keep the chores suitable for both of them. 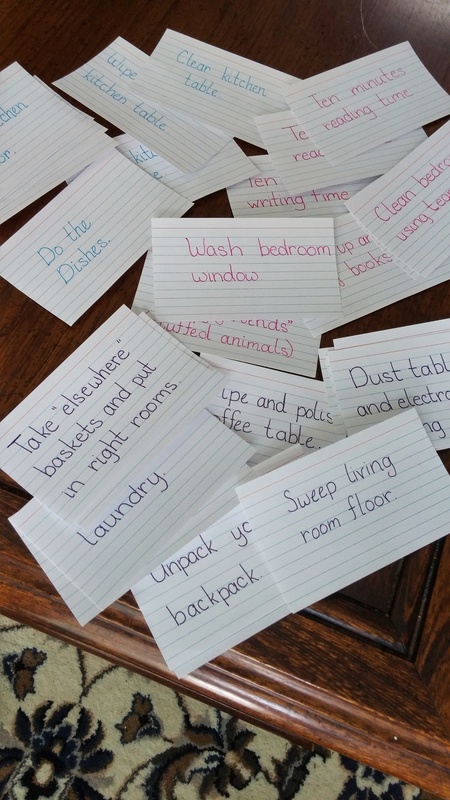 I used plain index cards that cost less than a dollar at Walmart and my favourite gel pens and wrote a bunch of chore ideas on them. I colour-coded the chores based on room or floor. Pink is the kid’s room or area, blue is the kitchen and purple is living room and playroom. I just love colour-coding and sorting. 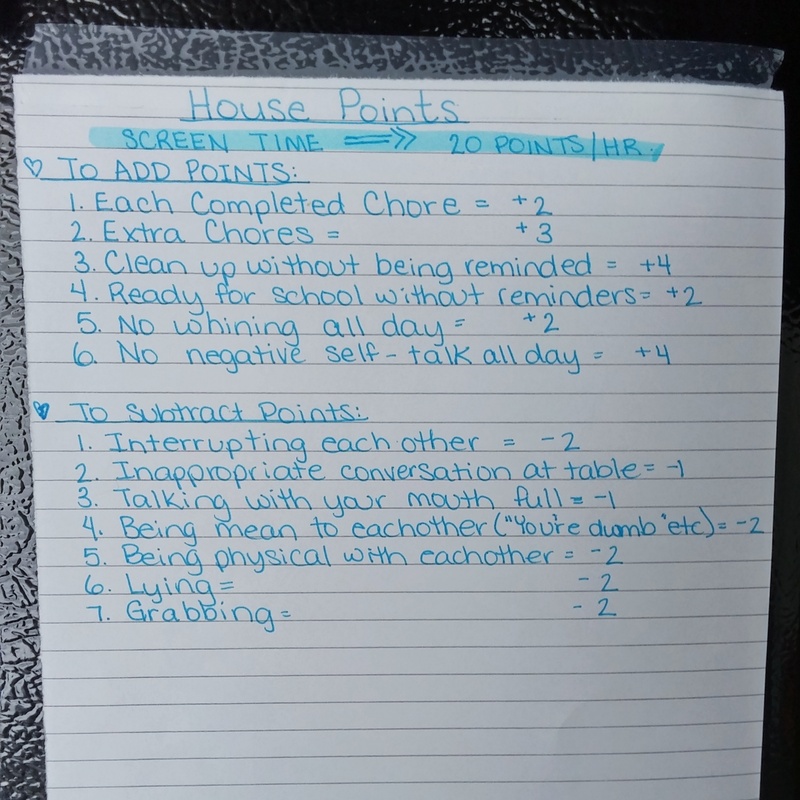 It also makes it easier to pick out chores for the kids so I can have them in different areas and not distracting each other. I keep each colour separate with oversize paper clips. Some of the chore cards I made. The bundled chore cards. 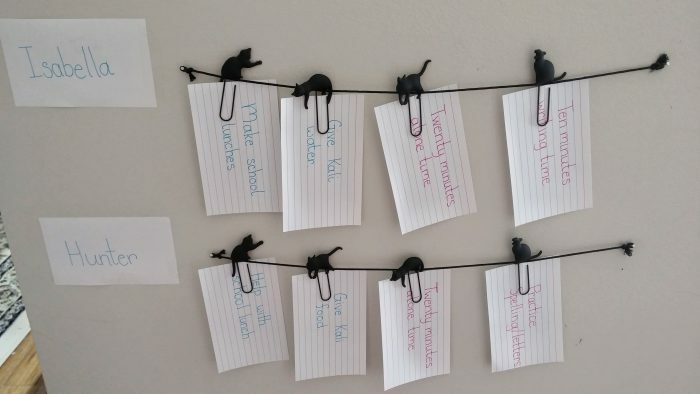 You could also use corresponding colour-coded paper clips, if you wanted. The chores set up for today. And that’s it! Simple, nerdy, engaging and fun. Here are your FREE PRINTABLE HARRY POTTER CHORE CARDS to use on your own board. I hope they make chores more fun for your kids. Let me know if you try out this Harry Potter Chore Chart! I would be excited to hear about it in the comments or tag @babblingpanda_wynne on IG so that I can see your creations. I would love to see what you come up with! !